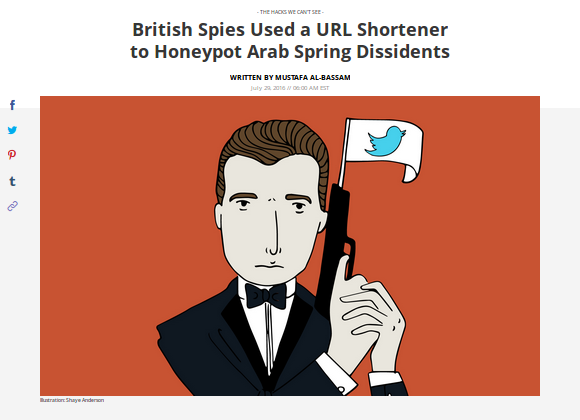 What you all have to realize is that now YOU are more easily hackable, your information more able to be stolen or accessed by writ of law, or YOU give it away by using applications that have been expressly created to give the agencies access to you as in this URL shortener that GCHQ used on the protesters in the Arab Spring. You all have to realize that unless you are code auditing everything you use on the net, then you too could easily fall prey to information leakage or outright compromise if you are a target of the “community” at large. 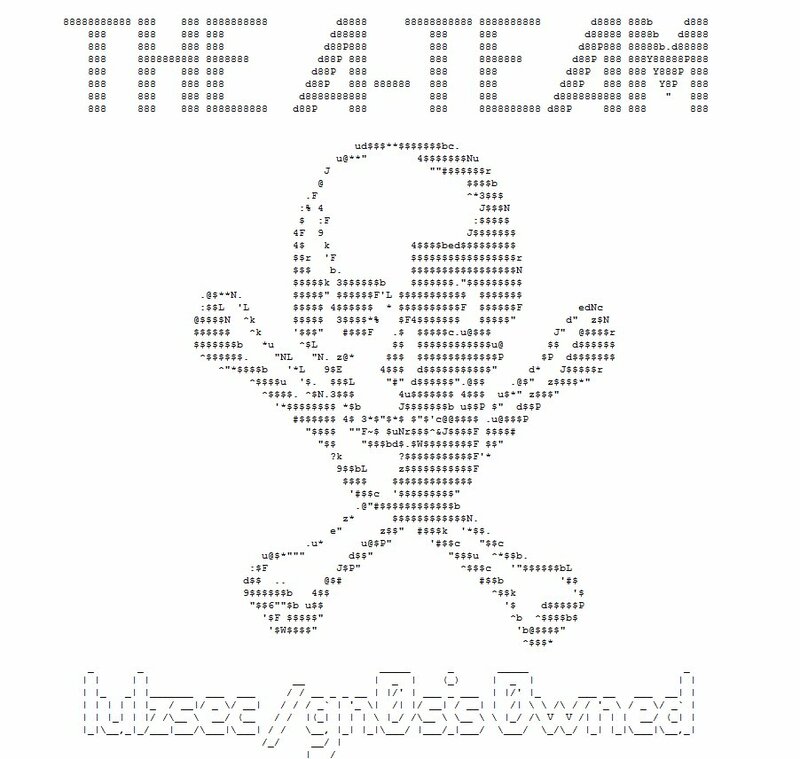 I would also like you all to take note that those who may support Wikileaks, or be a member of say Anonymous also were targeted and used in this operation by GCHQ as well so if you are an Anon, you too have been targeted rather directly (like the citation of Topiary’s conversations) so you too are not safe even if you are trying to use good OPSEC, which, it turned out, and I have written about in the past, you were not. Oddly enough though, the Snowden leaks on JTRIG also show how the same issues are at play for those operators within NSA/GCHQ as well. Trying to keep sock accounts straight, know the language and the patter, as well as the political issues is problematic when you are doing things on a larger scale (trust me I know) so at least you have that going for you right? JIHADI’S HOLD LEGION OF DOOM CON CALL!! WOULD YOU LIKE TO KNOW MORE? 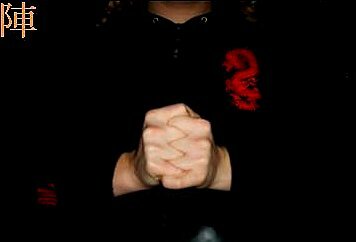 AZIJ XXRZ HMCKIDACVA GZ UZZW! Yesterday the camel’s back finally snapped in my head after reading a post on Harper’s Magazine entitled “Anatomy of an Al Qaeda Conference Call” which the author called into question the whole story that was put out by the Washington Times and their “anonymous sources” The paper claimed that Ayman Zawahiri and all the heads of the various jihadi splinter groups got onto their polycom phones and their SIP connections to have a “concall” as we say in business today. You all may remember the heady headlines in the last couple weeks where the mass media picked up on this story and began scribbling away on how the so called jihadi “Legion of Doom” dialed in for a sooper sekret meeting to plan the end of our Western Civilization. Now, I am sure some of you out there have seen my screeds (140 chars at a time more so recently) on just how we get played too often by the media and the government on some things but this, this is just epic stupid here. If you or anyone you know believed any of this claptrap coming from the media please seek psychiatric attention post haste. Suffice to say that a group of leaders and minions thereof got together for a chat on <REDACTED> and that they talked about plans and ideas (from hereon I am going to coin the term ideating) for the destruction of the West and the raising of a new global caliphate. Does that sound familiar to you all? Gee, I can’t seem to put my finger on where I have heard that one before. … So yeah, there was a meeting, there were minions, and there were plans but here’s the catch; NOTHING WAS SAID THAT ALLUDED TO A REAL PLAN! No, really, there wasn’t any solid evidence that prompted the closing of the embassies all over. It was a smoke and mirrors game and YOU all were the captive audience! As you can see from the article cited there seems to be a lot amiss with all of this now that some reality has been injected into the media stream of derp. Why was this all brought to you in the way it was put out there by the media? Was it only the demented scribblings of one reporter seeking to make copy for his dying paper? Or was there more to it? Was there a greater plan at play here that would have the media be the shill to the duping of the public in order to make them see say, the NSA in a different light in these times of trouble for them? So yeah, a story comes out and there are “sources” sooper sekret sources that are telling the reporter (exclusively *shudder with excitement*) that the Great Oz of the NSA has intercepted a LIVE call with the LOD and that it had scary scary portents for us all! That the NSA had help prevent a major catastrophe from happening because they had the technology and the will to listen in on a conversation between some very bad dudes like Ayman and the new AQAP leaders plotting and planning our cumulative demise. The “con call” never happened. There was no set of polycoms and Ayman is not a CEO of AQ. The fact is that Ayman and many of the other “heads” of the LOD were not actually there typing. It was a series of minions! The contents of the “chat” were not captured live. There was a transcript captured on a courier that the Yemeni got their hands on and passed it on to the Western IC. (So I have heard, there may in fact be a chance they captured the stream using this guys acct) the Yemeni that is, not so sure it was us. As I understand it, there was nothing direct in this series of conversations that gave any solid INTEL/SIGINT that there was a credible threat to ANY embassies. There you have it. This has been WHOLLY mis-represented to the Amurican people. The question I have is whether not there was an agenda here on the part of one of the three parties or more. These are the key players here that I would really like to get into the box and sweat for a while. After the madness was over and sanity let it’s light creep into the dialog, we began to see that these so called sources were no more or less better than “CURVEBALL” was during the run up to the Iraq war. In fact, I guess you could say they were less effective than old curveball because we did not actually go into another half baked war on bad intelligence this time did we? Another question that should be asked here is why was this information leaked in this way to the press on an ongoing operation that I would say might be pretty sensitive. I mean, you have a channel into a chat room (or *cough* con call as the case may be har har) that you could exploit further and yet you decide to close all the embassies and leak the fact that you have closed said embassies because you intercepted their sooper sekret lines of communication? Holy what the Hell? What are you thinking POTUS and IC community? Oh, wait … Let me ideate on this a bit…. So a WIN would be very very good for PR wouldn’t it? I mean you don’t have to hire a PR firm to figure this one out right? HOLY WIN WIN BATMAN! We tell them we foiled their plans using sooper sekret means that the public hates for infringing on their “so called” rights and we can win hearts and minds! All joking aside though, think about it. Why blow an operational means of watching how the bad guys are talking UNLESS it was never something you really had access to in the first place right? You could win all around here (though that seems to be backfiring) IF the Yemeni passed this along and it was after the fact then how better to make the AQ set abandon the channel by saying you had access to it? How better also to try and get a PR win by alluding (ok lying lying lying with pantalones on fire!) 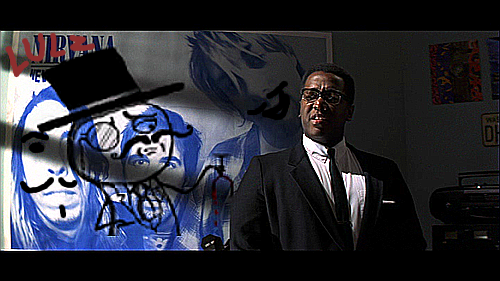 that you had compromised (you being the NSA and IC here) said channel! I guess overall the government thinks that the old axiom of “A sucker born every minute” still applies to wide scale manipulations of stories in the media to sway thought huh? Oh and by the way, if any of you out there think this is just too Machiavellian I point you to all those cables dropped by Wikileaks. Take a look at the duplicity factor going on in international realpolitik ok? 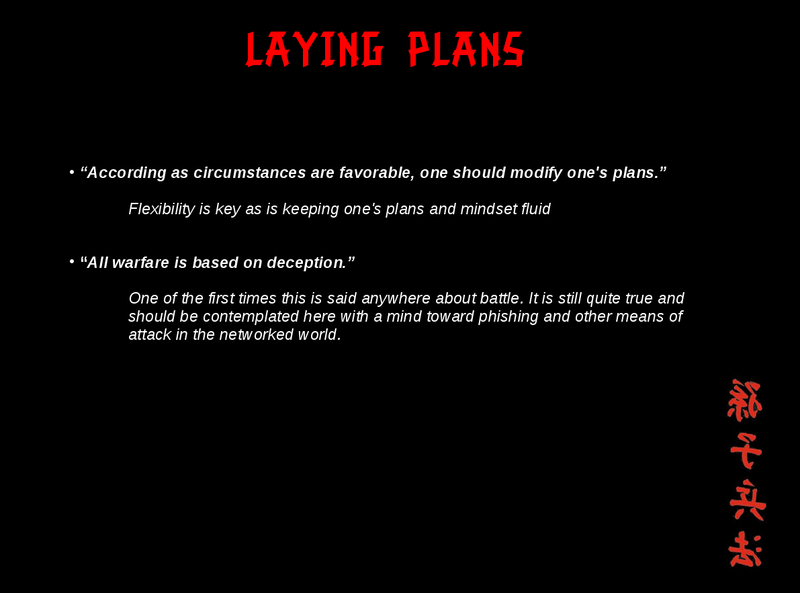 Eli Lake was either a witting or un-witting dupe in this plan to put out some disinformation in a synergistic attempt to make the IC and the government look good on terrorism in a time where their overreach has been exposed. It’s “Wag The Dog” to me. Well, less the war in Albania right? I suggest you all out there take a more jaundiced eye to the news and certainly question ANYTHING coming from “ANONYMOUS SOURCES” on NATSEC issues. It is likely either they are leakers and about to be prosecuted, or there is a cabal at work and DISINFORMATION is at play using the mass media as the megaphone. Sorry to sound so Alex Jones here but hell, even a clock is right twice a day. A mgbkf zugx sbw nrkl wqvrkvuj! A while back I decided to throw my hat in the ring for RSAC and Shmoo. I made neither’s list of presentations but I thought this still was worth putting out there for people to see. 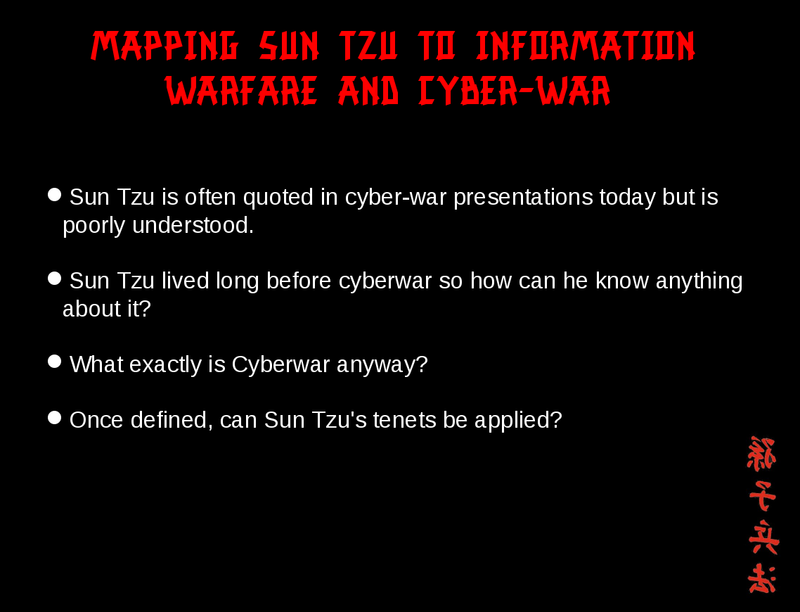 I had been talking with Jericho and Josh Corman about cyber war because of their presentation at Brucon and this idea popped up in my head because Jericho had pointed out too many people cite Sun Tzu poorly in these types of presentations. 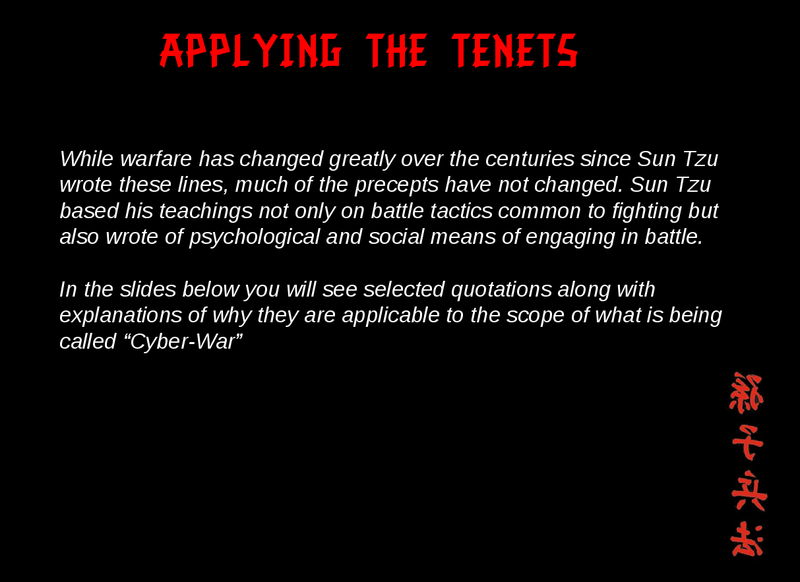 Well Jericho is right and often times not many of the tenets of Sun Tzu make it into the presentations. 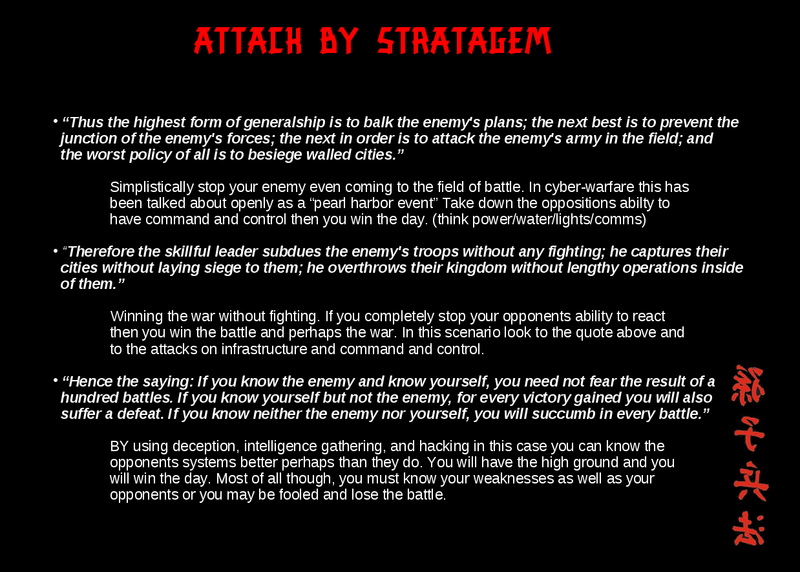 On average you will see maybe one or two and that’s it but The Art of War has many other chapters and quotes that map to general warfare and that includes Cyber-War (so called) Generally however the overall tactics put forth by the Art of War are applicable because this is warfare we are talking about no matter the landscape (electronic) that we are fighting it in. 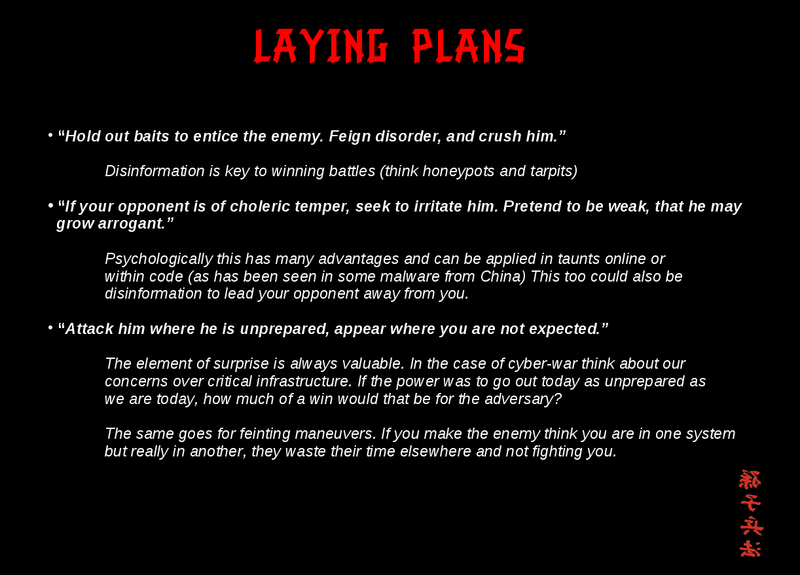 You still have adversaries looking to defeat one another using guile and force today just as in the day of Sun Tzu. The real issue comes down to reading between the lines of the old text and applying the ideas to the modern landscape of the electron, the malware, and the phishing attack. All of these efforts though will lead to the age old means of kinetic warfare and this is what people seem to not understand so well today. War is war and eventually its all going to be about the guns and bombs and not so much just about the data being stolen or messed with. We have a problem today in the semantic of war in the digital age that needs to be cleared up for the general populace. 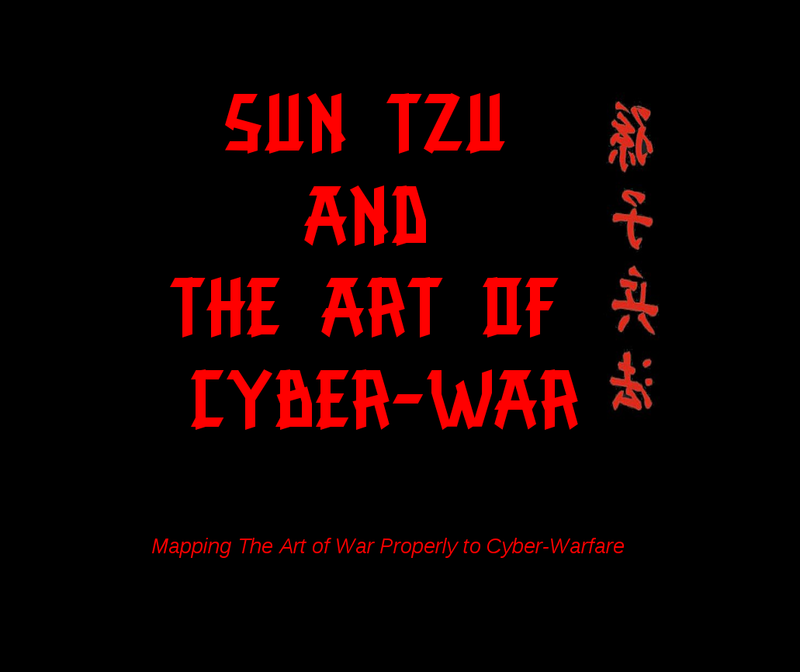 I hope that this tutorial will not only be historical but also give the reader the tools needed to understand that cyber-war is not the end all be all, it is in fact just a precursor to the type of war that has been waged since man could pick up a rock and throw it. On another level though, I find it amazing that more people have not had the light bulb go on about our situation today with regard to Chinese hacking and espionage. 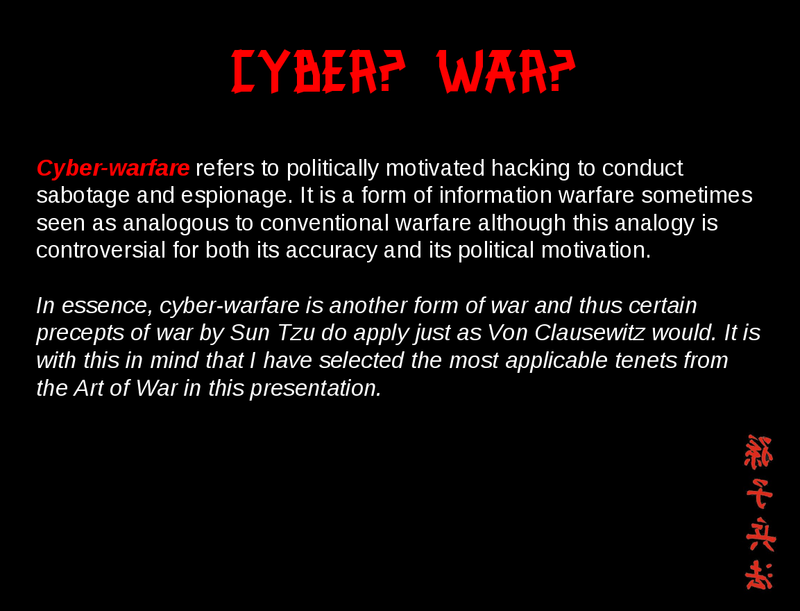 What we have seen is not cyber-war yet but the prelude, the reconnaissance to carry out war and that is all. 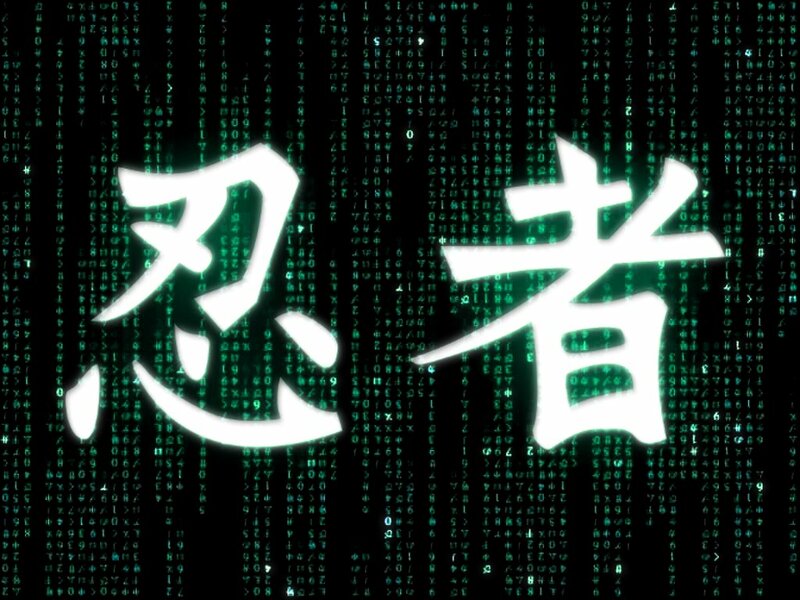 The Chinese (and others) have begun mapping our networks, prodding our defenses, and assessing our overall readiness by using digital attacks on private and governmental networks and systems. Think of it all as spying and not just one for war footing alone. 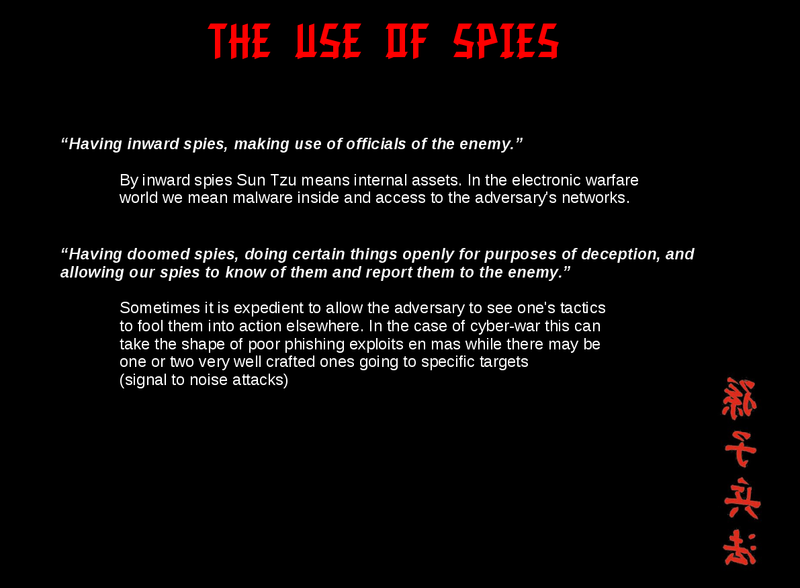 There is of course the industrial espionage as well but in the case of China in particular they are all means to an end. 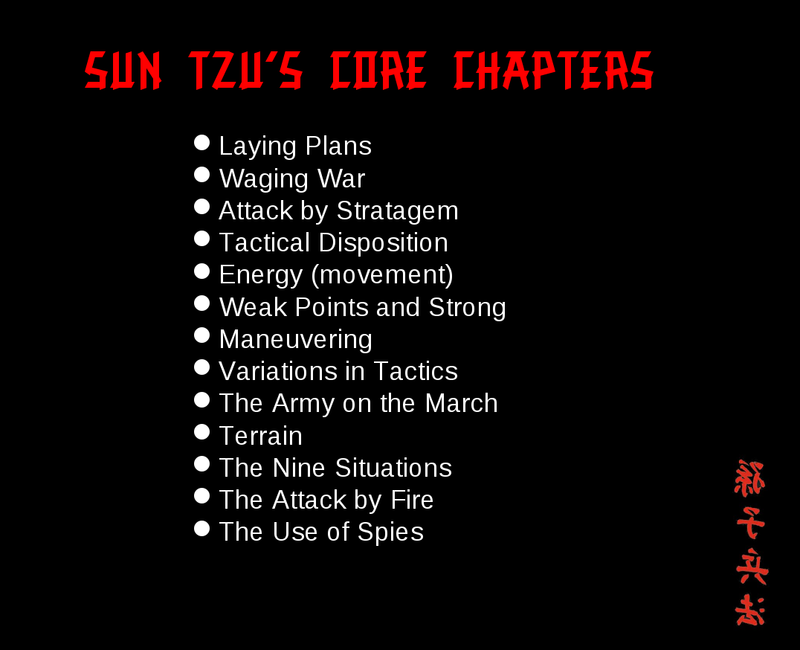 The “Thousand Grains of Sand” approach is doctrine in China as is the mindset they have always had having had masters like Sun Tzu as their teachers. 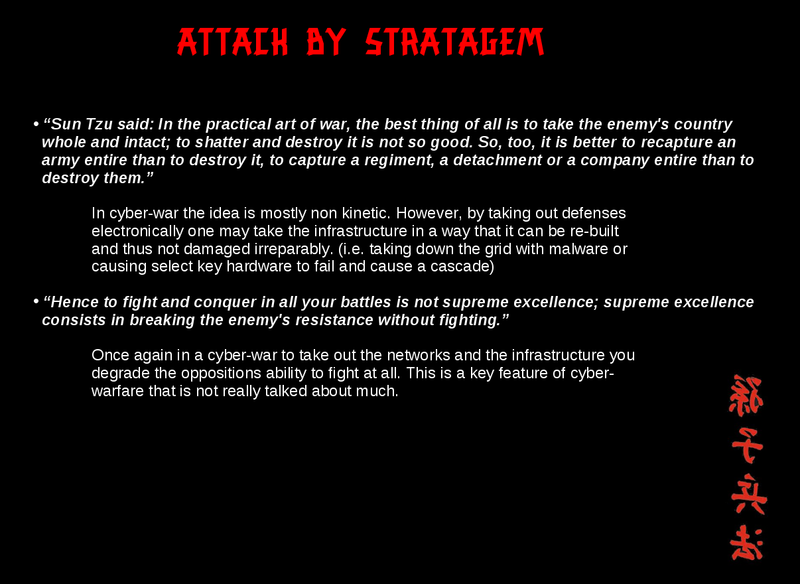 Look at this slide deck and then take a step back and look at the APT-1 report as well as others. Note that the Chinese military is the state and that the PLA is just an arm of the military unlike in the US where the military is a little more separated and at the behest of POTUS. 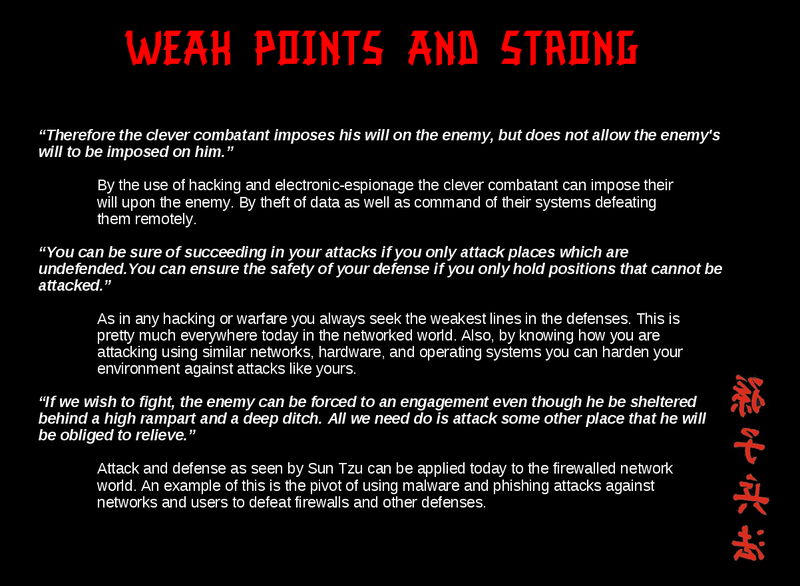 It’s time to be more introspective about ourselves as well as the adversary and Sun Tzu is a good way to get there. Plain and simple, these guys are not just some namby pamby government following laws who will try to arrest you. No, these guys will hire blackhats of their own, find you, and KILL you in the most horrific ways. Need I remind you of the bloggers who got whacked recently? I don’t think you all want to be the next to be swinging under an overpass with a Mexican Necktie do you? It took major government and military operations to kill Pablo and his cartel. 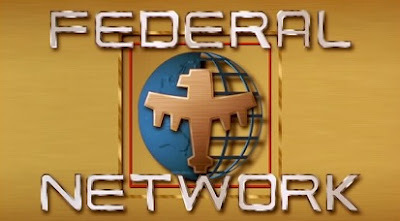 You guys dropping information on the low end mules and lackeys will do nothing but interrupt operations currently ongoing as well as put yourselves into the cross-hairs of the Zeta killing machine. At the very least, you need to do your homework on these guys and NOT announce things on the internet before you do anything, this is just asking for a whacking. Have you not been listening? First off, if you want to gather intel on these guys or you have it, then make sure you vet it out and insure its the real deal. If you have sources, you need to protect them and if you have hacked access, you need to insure that you can’t be traced back. The big thing though, is to KNOW YOUR TARGET! How much do you really know about the Zetas? How much do you know about the politics of the area? The players both inside and outside the cartel? This group just doesn’t have low level people, they also have high ranking political connections as well. You mess with them, then you have governmental assets and pressure as well to deal with. So.. What do you know about Los Zetas? Los Zetas and La Familia Michoacana are a narco ring comprised of about 30 ex Mexican Special Forces deserters who decided that narco trafficking was a much better choice than just being ordinary special operators. This group has been one of the bloodiest and boldest in their massacres of opposing groups or individuals. In short, they are not people to tangle with unless you are a government with a special operations group of your own. Much of their infrastructure is already known (see pdf file at the top here) so, dropping some of the data you propose might just serve to get others killed and not damage the organization much at all. 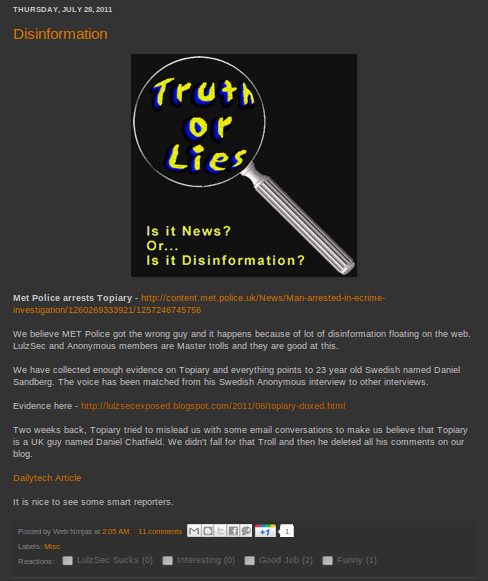 Though, if you did have tasty information, perhaps you could pass it along to the authorities? If not, then maybe Mata Zetas? Los Matas Zetas is another paramilitary group (Zeta Killers) that has sprung up recently and in fact could be governmentally sponsored. Either way, this group is out to whack the Zetas. Now, were you in posession of data that could be used by them to combat the Zeta’s maybe you could find a conduit to get that to them… Secretly. I am pretty sure though, that these guys, if not sponsored by the government (Mexico and the US) would then just become the next narco trafficking group in line to stop the power vacuum once the Zeta’s have been taken out of the equation. 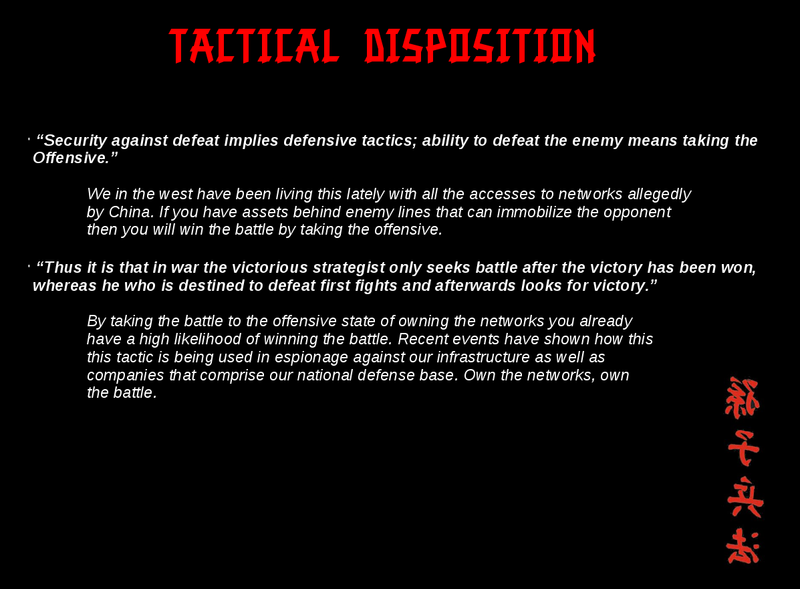 The basic idea though is this: Use the enemy of your enemy as your friend to destroy your enemy. Get it? Ok, so, here we are and you guys have laid claim to the idea of the operation. Then, once people started threatening, you dropped it. Then others like Sabu said it was all a PSYOP and there are things going on in the background still. Obviously you weren’t thinking about OPSEC. You have seen me write about this in the past and you surely have heard Jester talk about it too. It is a key precept to special warfare and you guys just are not ready for prime time here. Unless you follow some basic security measures you will end up dead. So pay attention.. If there was any merit to this operation in the first place. Finally, I would like to say that this is not an episode of Miami Vice kids. YOU do not have a nickel plate .45, slip on shoes, and pastel shirts. This is reality and you are more than likely to run up against blackhats who will find you and one by one, these guys will hunt you down. Though.. They too could also hire a hacker huh?